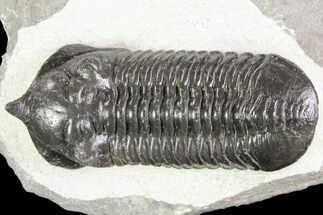 This is a rare Odontocephalus aegeria from the Onodaga Limestone in Pennsylvania. 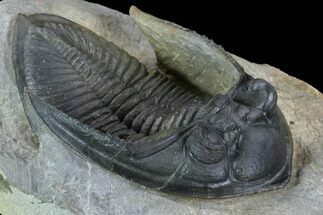 The location where these trilobites are found was collected out in the 80's so any specimens coming onto the market such as this one are coming out of old collections. The specimen is 3.5" long which is about average size for the species. 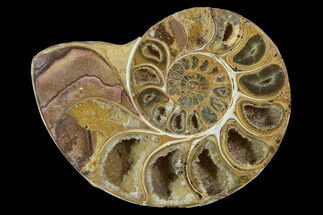 As with nearly all of the old specimens from this location it was acid prepared so, doesn't have much shell on it. 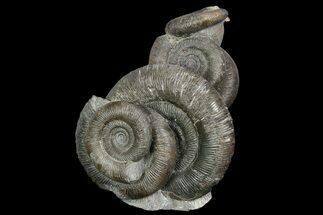 Most of the time they would then coat them with shoe polished, to "recreate" the shell", but tha was not done on this specimen. Even eye facets can be see in both eyes. 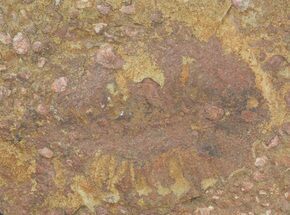 There is one repaired crack running through the rock and the specimen.